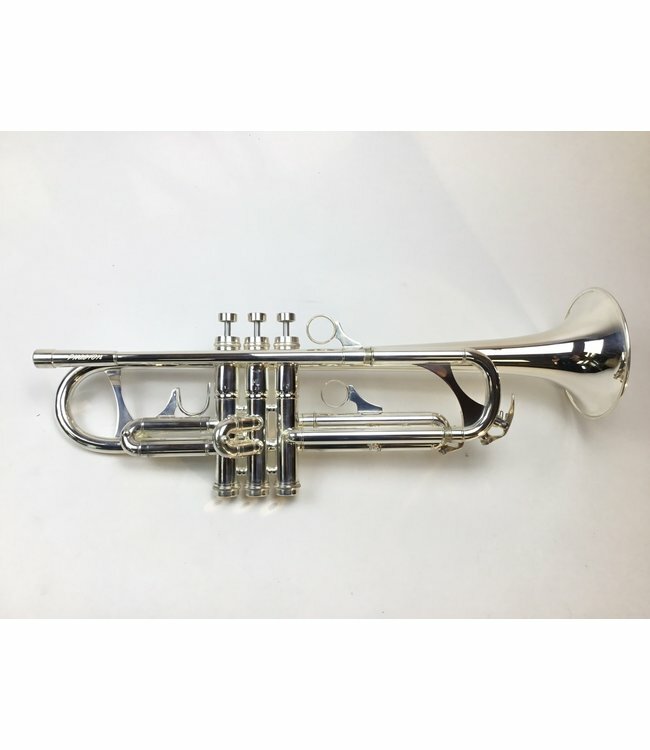 Used/Demo Phaeton XP series Bb trumpet in silver plate. This instrument is in very good condition with surface scratching from being play tested in store. The back bell bow acquired a dent in shipping and has been fixed; however, there is evidence of this repair including minor silver wear. Includes original case.